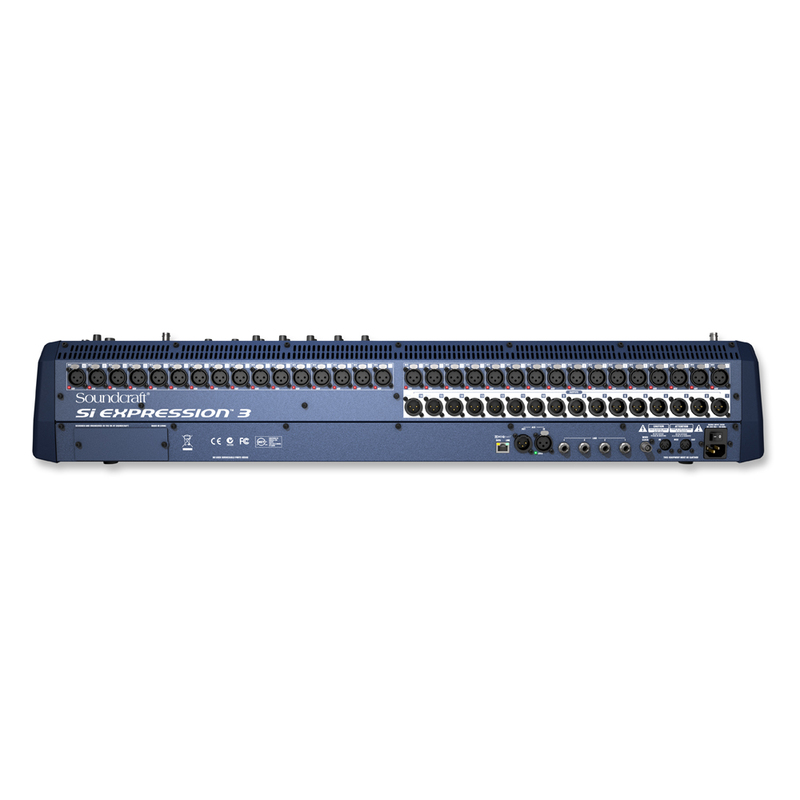 · 1 ViSi Connect™ option card slot for 64x64 expandsion of digital I/O including the MultiDigital Card (Firewire/USB/ADAT), BSS Digital Audio Bus (BLU Link), Dante™, CAT5 or optical MADI, AVIOM™, CobraNet™ and others. · Assignable Fader Layers - Customise each of the four fader layer pages to meet your needs or add/insert faders to accommodate that additional mic that was not in the patch list! · 1 Control = 1 Function - With each control dedicated to a given function there is never any 'layering' of controls or navigating through screens; this allows the Si Performer controls to be labeled on the surface just as they would have been on an analogue mixer. · TOTEM™ - The One Touch Easy Mix; press a single key to mix to an AUX, FX or Matrix bus, the surface and monitoring instantly reconfigure to allow instant mixing to your chosen bus on the faders. 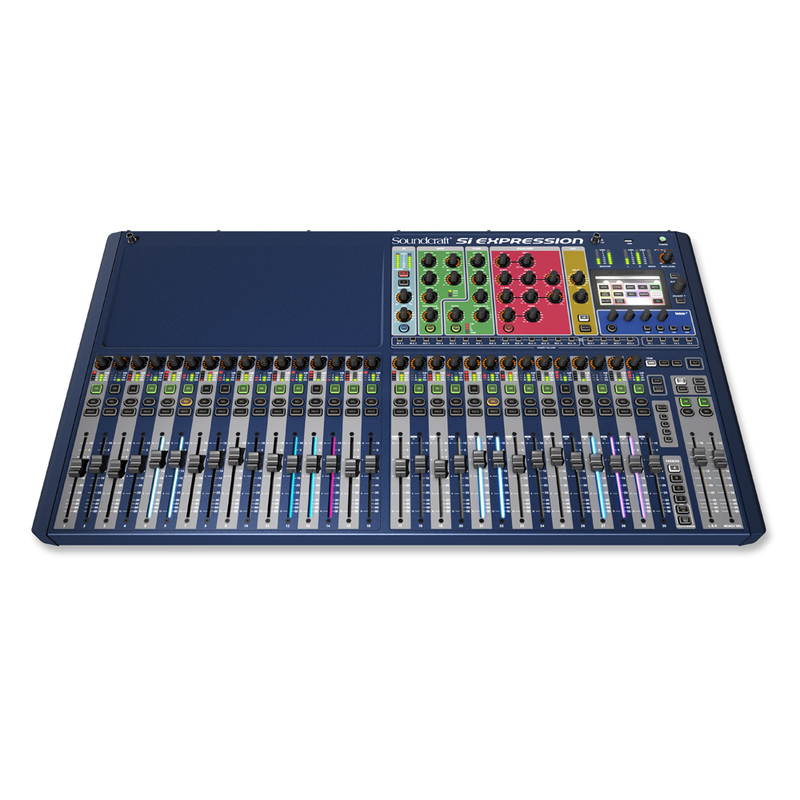 · Soundcraft FaderGlow™ - Illuminates the fader slots according to function with clearly defined colours for FX, Stereo, Linked Mono, GEQ, POST Fade Aux, PRE Fade Aux; you'll never be lost again! · BSS® GEQ - With a BSS GEQ on every bus there is never any need to assign from a pool of resources and you will never 'run out' of processing. · Security Lockout - Lock the whole console or just selected elements, manage the security with the users and profile settings. 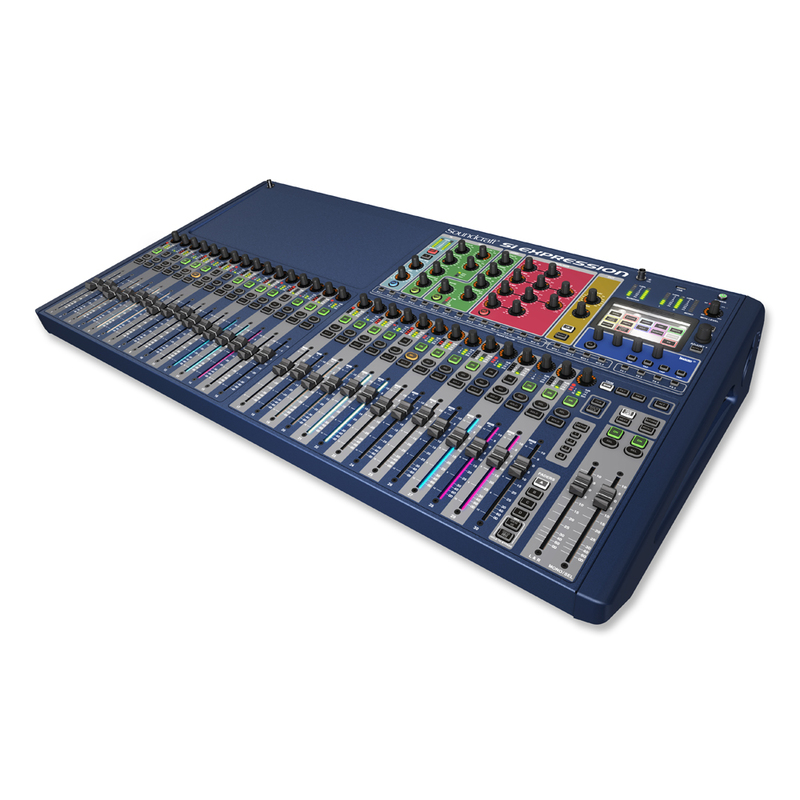 · Personal Monitoring Interface - When used with the Si BLU link option card, the Si Performer is a perfect partner to the dbx PMC16 Personal Monitoring System , using simple Cat5 cabling for easy setup. · D.O.G.S. 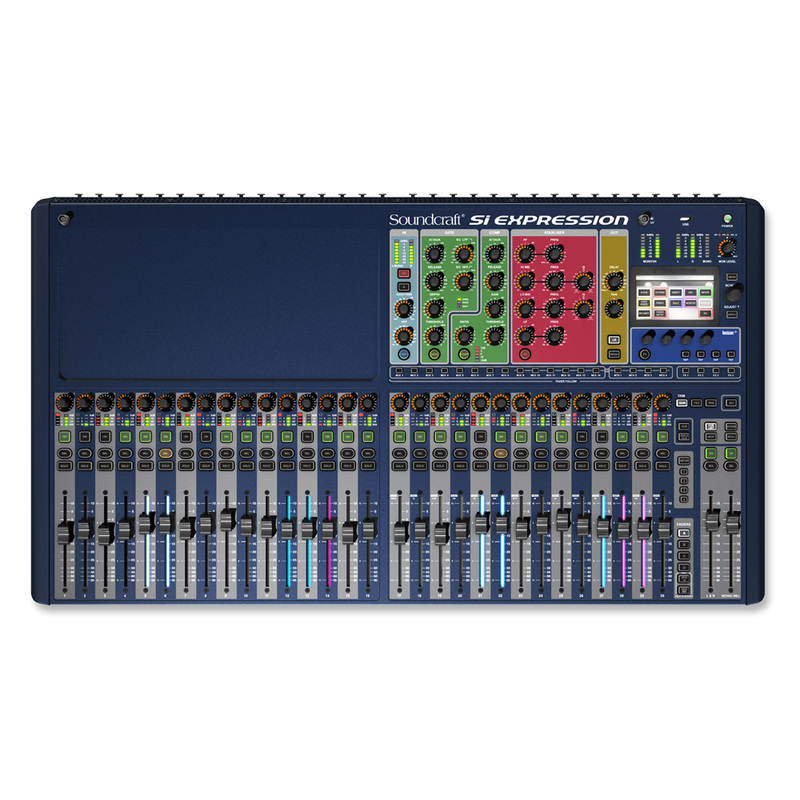 (Direct Out Gain Stabiliser) - Prevents manual change of a mic gain control affecting direct out levels, perfect when 2 consoles share a stagebox or when recording the channel direct outputs. · Global Mode Controls - A row of rotary controls above each fader assignable at the touch of a button to be GAIN, PAN or HPF for all of the inputs allowing instant access to the core functions. · Copy & Paste - Copy whole channels, busses, mixes, Lexicon™ effects, a single part such as the EQ or multiple parts like the channel gate and compressor. · Instant Access Keys – Dedicated keys on the front panel for STORE, RECALL, NEXT, MUTE 1-4, TAP TEMPO and more negate the need to dive into screen & context menus. · Everything Everywhere – All channels and busses have a full complement of processing, nothing to assign or configure.